Fever is a wonderful piece of work, and a credit to everyone who created and staged it. It’s not a new work; the collaboration, under the auspices of the Melbourne Workers Theatre, of Andrew Bovell (Secret River, Lantana, Strictly Ballroom), Christos Tsiolkas (The Slap), the prolific Patricia Cornelius and Melissa Reeves dates from 2002. 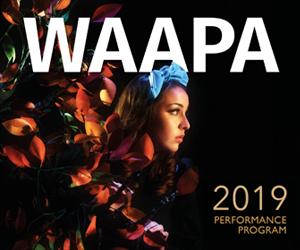 Neither is this the first time this quartet of playwrights’ work has been performed by WAAPA’s Aboriginal Performance students; their Who’s Afraid of the Working Class was a given a barnstorming staging in 2011. What is new is this production’s complete lack of specific Aboriginality; the students, and their director Rachael Maza, ask us to come to their work on its own merits, with no concessions or schema. What is exciting is how terrifically they succeed, and how, in so doing, they bring a major and intensely relevant Australian work to a new audience. 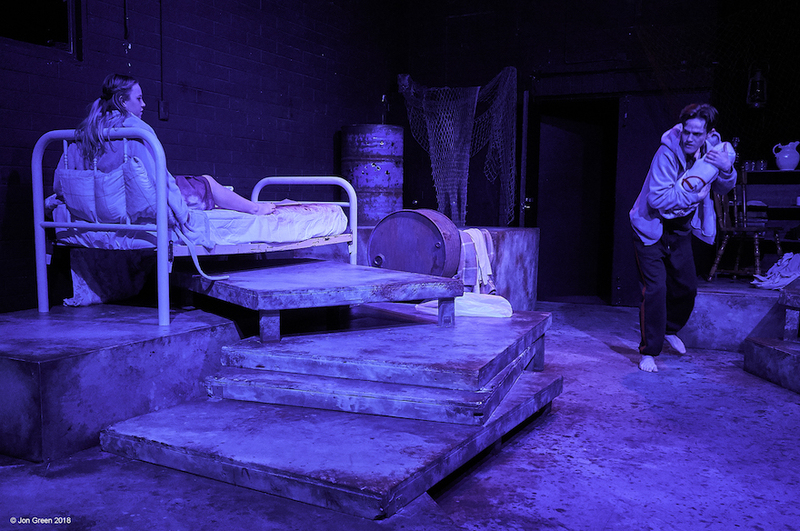 Fever comprises four short plays by each of the writers, woven together to form an exploration of the world’s woes; dislocation, degradation and deep fearfulness. Making such a dramatic arrangement cogent, let alone satisfying, is a tough call – even more so when the styles of the pieces range from gritty realism to the wildly surrealistic, from black comedy to intense drama. In Bovell’s The Chair, a woman (Cezara Critti-Schnaars) has a soldier (Samai King) bound and helpless. In Melissa Reeves Savant, people from an outback town find the freezer in the truckful of fish they had brought in has malfunctioned. In Cornelius’s Blunt, a group of barren women in a blasted future landscape hear a baby crying in the dark. 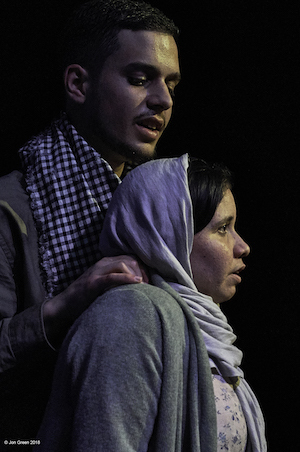 In the most developed and horrifying of the pieces, Tsiolkas’s Psalms, a brother and sister find themselves on opposite sides of a vicious civil war. Rivers flow through these stories, but they are foetid or perilous; infants are drowned – or stab their mothers; mercy is not strained, it has ceased to exist. Only the old enmities survive, perfectly adapted with their guns and their old bibles to a dry strange, cannibalistic world; the old blood spilled again and again. It’s a credit to the writers that they pull it off all on the page; even more so to the director Rachael Maza (at WAAPA courtesy of the Mindaroo Foundation’s Visiting Artists programme) and her student cast, who work between the story lines and styles with great skill and, more importantly, undiminished passion. Highlights abound. The chorus of women on the riverbank – Cezara Critti-Schnaars, Ruby Williams, Kirra Ostler (outstanding here and as the mother in Savant), Angelica Lockyer, Shania Richards and the “wo-man” Tainga Savage – are hideous, though sometimes hilarious, in their robes of rags. Savage’s monstrous, matricidal baby toddles toward the next-door neighbours to deliver a (very 2002) diatribe – part Thomas Pikkety, part Pauline Hanson. Throughout, the woman and the bound soldier dance slowly on the edge of mercy and vengeance; she takes up a knife, but will she cut the ropes, or his neck? It’s the story of Abraham and Isaac. When it’s over, whichever way it ends, the woman sits in Aphra Higham’s striking, aposite set of blood-red netting and the skins of foxes; harbinger, victim, humanity, a demon or a God. When it all comes down to dust, I will kill you if I must, I will help you if I can. When it all comes down to dust, I will help you if I must, I will kill you if I can. – Leonard Cohen’s “The Story of Isaac”. Fever plays the Enright Theatre at WAAPA until November 22.